Following that, children looked at an argument between two Rabbis, Rav and Shmuel. They had diverging ideas of what the story of the disgrace should be. Rav believed the disgrace was that once the Israelites were idol worshippers, and Shmuel believed that the disgrace was because of enslavement. Well, with only five sessions between Spring Break and Passover, the kids jumped right in. Check out the blog from last week all about children making the mesubin pillows! During the time before and during Passover we completely turn over our Hebrew curriculum to focus on Passover. 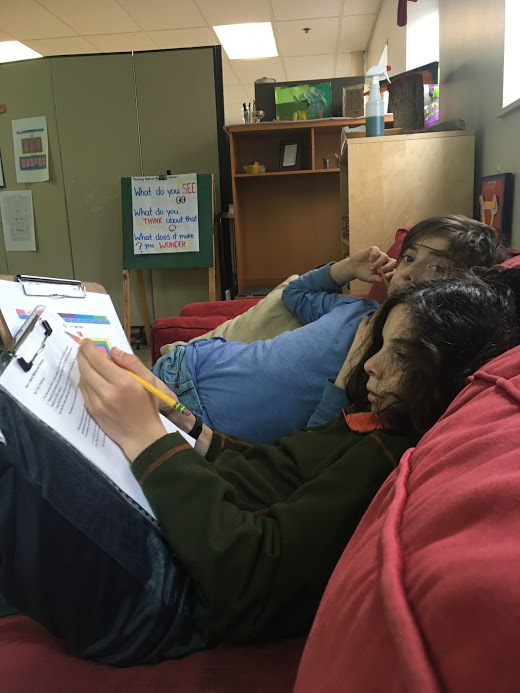 One of the favorite activities is memorizing the order of plagues, the order of the seder, and echad mi yodea (who knows one?). Children are focused and determined to get the cards in the exact right order. 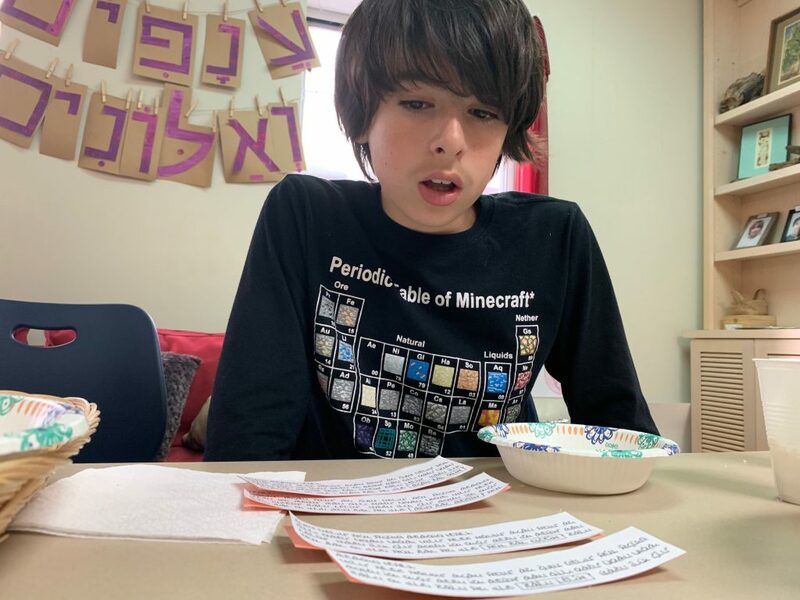 Later this week, children in Anafim v’Alonim (“branches” and “oak trees” for 4th and 5th grades) will read letters that their parents wrote them about a Passover memory of their own. Many of these letters talk about childhood memories or college experiences. All of them offer a unique perspective which helps children to hear different narratives and observances of Passover and being at a Seder. Children will be able to look at all the different letters to really get inside the experience of others.